Ryanair have today announced additional flights to Paris on the weekend that Ireland are set to play France in the rescheduled Six Nations match. Thousands of Irish rugby supporters were left frustrated and out of pocket when the original fixture was abruptly abandoned on Saturday night, and although they will be able to use the tickets for the rescheduled fixture, there will be many who cannot afford to make the trip back to the extremely expensive French capital. Ryanair are lending a helping hand in that regard by laying on additional return flights to Paris. 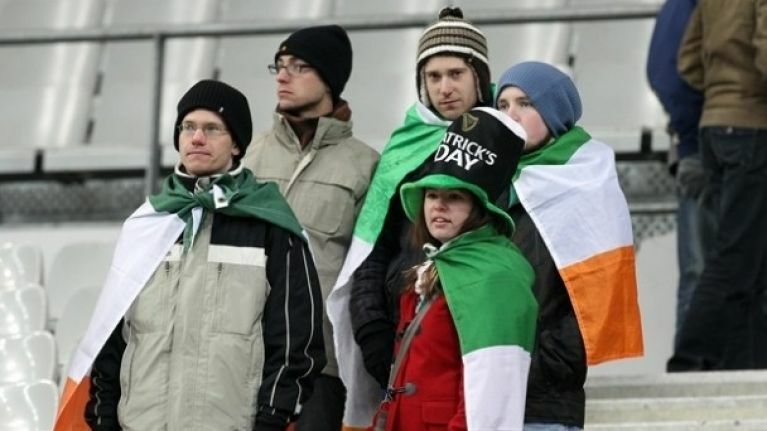 The extra flights will depart Dublin at 10:20am on Saturday 3 March, and leave Paris at 10.30pm on Sunday 4 March, allowing rugby supporters to take in the game at the Stade de France, which after much deliberation, was rescheduled for Sunday 4 March at 4pm (local time). The flights are now available for booking on the Ryanair website, with return fares from just €199 (including taxes, charges and administration fees). Commenting on the additional flights, Ryanair’s Stephen McNamara said: “To cater to the demand from Irish rugby fans looking to travel to Paris for the rescheduled Six Nations match Ryanair has added an extra return flight, departing Dublin on 3rd March and retuning on 4th March from just €199 return.